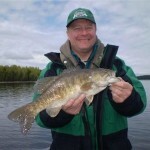 The calendar says June, but it feels like May on Lac Seul this year. We have had a few days of almost seasonal conditions, but they have been outnumbered by many cool – cold overcast days. Sunshine is the driving force to the system. Air temperature doesn’t warm the lake up but brilliant sunshine does. 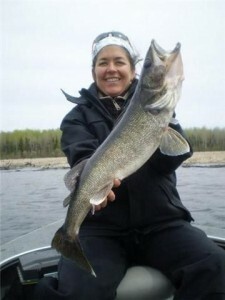 When it shines, the surface temps heat up rapidly and the shallow water bite gets hot for both pike and walleyes. 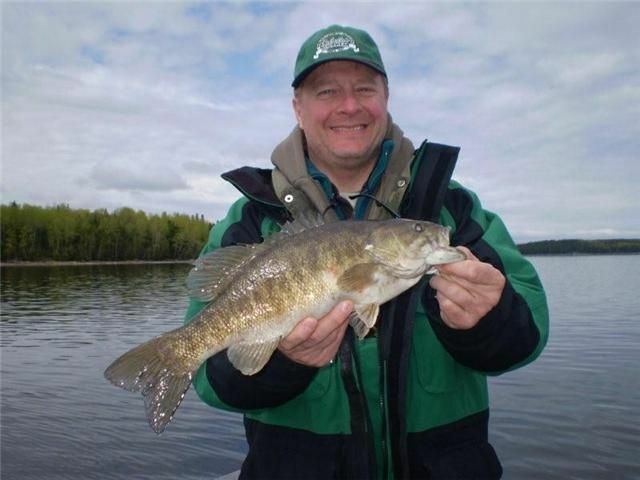 The central southern basins of Lac Seul are harder hit by cold spells in Spring. Instead of working with an A list of 100 spots, we are now working with 20 areas that are typically good and when conditions permit, we reach out into our normal June spots. The cool temps have reduced our spot choices, but our production for big fish has been excellent. Top end size for pike, bass, and walleye has been far better than expected considering the conditions. For the week we have had 29 walleyes over 27 in., including 6 – 28s, 2 – 29s, and 3 – 30s. Pike top end size was also impressive with 6 over 38 in., including 2 – 40s, 2 – 41s, and another giant 44 caught by Mike Markert. 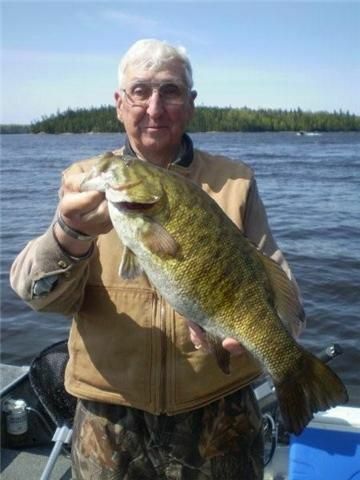 The bass bite is also behind schedule, but guides are finding big bass mixed in while walleye fishing. For the week, we had 66 over 17 in., including 20 – 18s, 3 – 19s, and 2 – 20s. 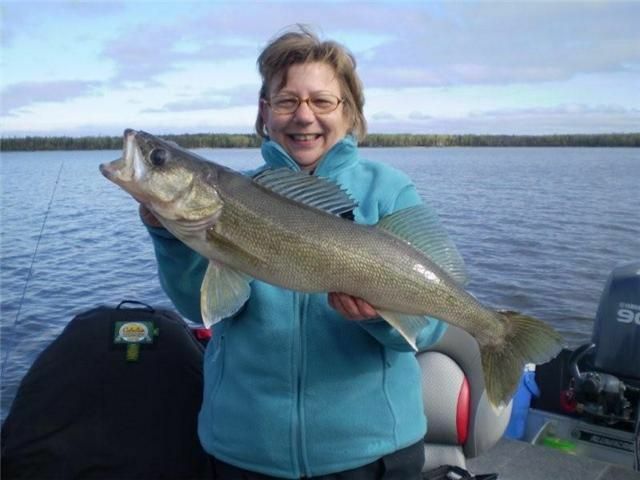 Walleye volume has steadily improved and average guide sheets are reporting 25 walleyes over 18 in. per boat per day. 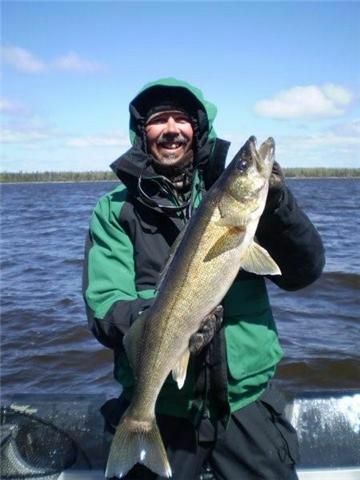 Jig and minnow combos in 1/8 – ¼ have been the “go to” presentation for walleyes in 6 – 14 ft. of water. 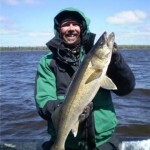 There have also been many big walleyes caught on husky jerks in the shallows. Almost all the big pike of the week were turned on husky jerks as well. 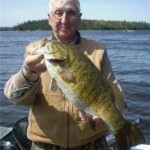 The bass have been caught on both, though most are found one level deeper than expected for this time of year. 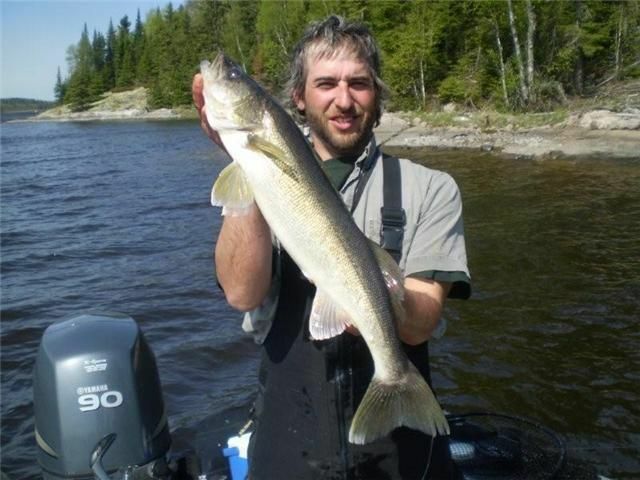 In general, on colder mornings we have found walleyes in deeper water and less active and on sunny afternoons we have found them shallower and more aggressive. The recent volatile weather is probably more of an issue for the fisherman than it is for the fish. It is post spawn and the fish are in travelling mode. The trick is to be ready to shift gears from slow, deep to shallow, fast when the conditions change. The Kicker: “It was a tough day…. 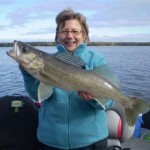 We tried several different areas and locations and never did come up with a pattern, but we did put 1 – 25, 1 – 26 and a 28 in the boat.” Anonymous Lac Seul guide. 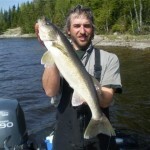 He was serious and didn’t realize that nowhere else would a walleye guide make the same conclusion about a day.